"What a wonderful stay - Palette (formerly Pouilly) was the perfect apartment and location for us. We had everything we needed and having two bathrooms was great. 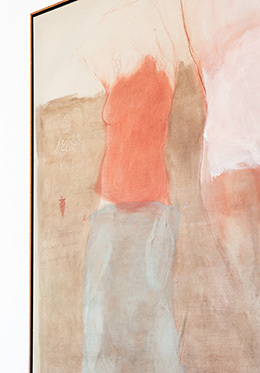 The customer service and being..."
"The Palette apartment was absolutely perfect! We loved the location of the apartment, it was accessible to markets, bakeries, cafes, shopping and bus lines. Of course, the Eiffel Tower loomed..."
"We did have a wonderful time in Paris from 11/18/2017 to 11/27/17. The Palette apartment was ideal for our needs. We were within walking distance from the Eiffel Tower and too many boulangeries! 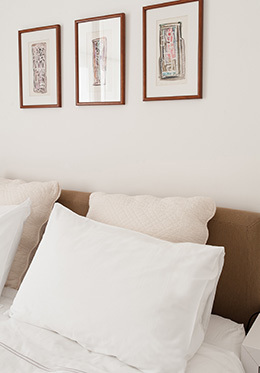 The..."
"We were delighted with our stay at the Palette Apartment in Paris. The process from first contact to reservation and welcome was impeccable. The apartment met all our expectations and we felt..."
"Our three week stay at the Palette Apartment was perfect. It's in a sensational location, just a 5 minute walk from the Eiffel Tower. 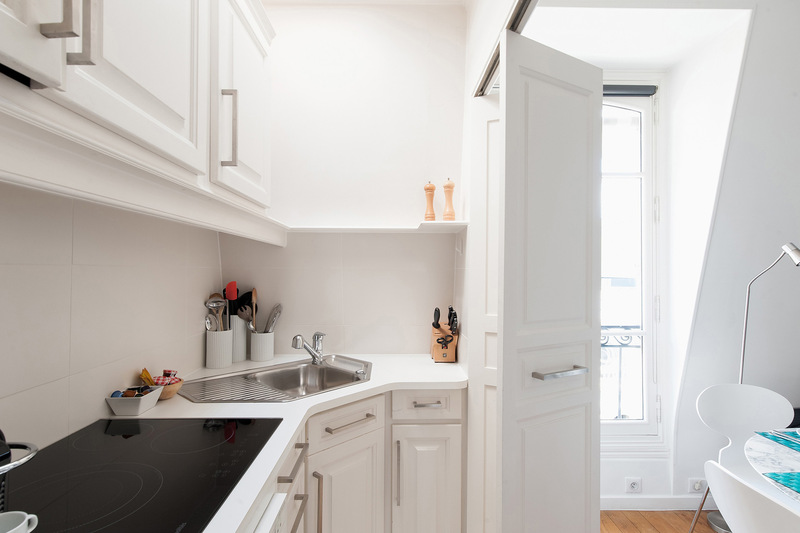 There are wonderful cafe's and restaurants in the street below..."
Our Palette apartment is a modern and bright 1 bedroom, and rare 2 bathroom apartment located on a quiet street in the heart of the 7th arrondissement. It features central air conditioning and great city views over the rooftops of Paris. Staying at this Paris Perfect apartment, you'll find yourself surrounded by cozy cafés, chic shops, great restaurants and many open markets - exactly where you want to be when visiting Paris, France! 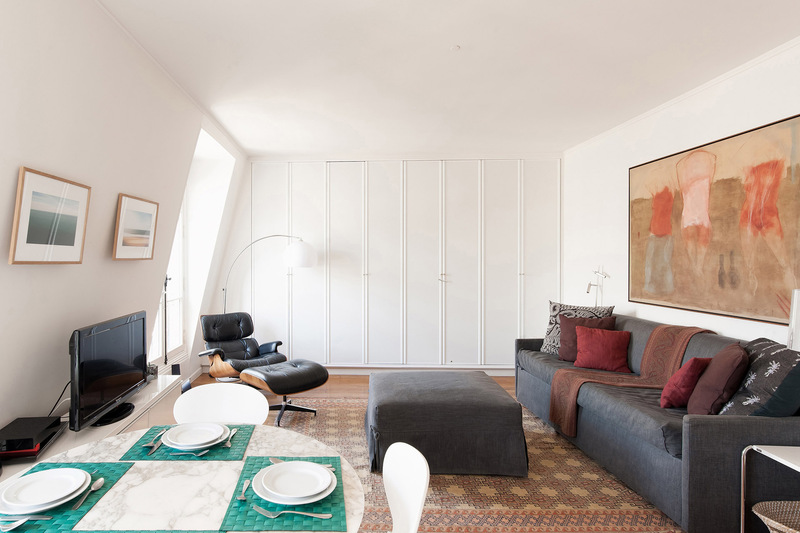 Elevator: The apartment is located on the 6th floor with beautiful views over Paris rooftops. Fully equipped kitchen with pots, pans, cooking utensils, cuttlery, glassware, china and linen. Air Conditioning in the living room and bedroom. Please note, in order to comply with building noise regulations the air conditioning must be switched off daily between 10pm and 8am. We hope you had a wonderful stay in our Palette apartment. Please take a moment and click here to share a review of your experience with us. "What a wonderful stay - Palette (formerly Pouilly) was the perfect apartment and location for us. We had everything we needed and having two bathrooms was great. The customer service and being greeted when we arrived was lovely. Thanks so much!" 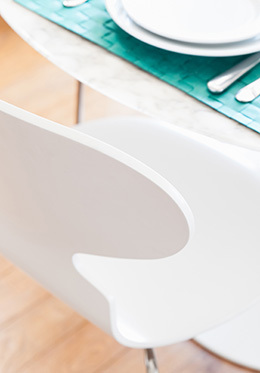 "The Palette apartment was absolutely perfect! We loved the location of the apartment, it was accessible to markets, bakeries, cafes, shopping and bus lines. Of course, the Eiffel Tower loomed magnificently only a few blocks away. The staff at Paris Perfect were wonderful. Our greeter..."
"We did have a wonderful time in Paris from 11/18/2017 to 11/27/17. The Palette apartment was ideal for our needs. We were within walking distance from the Eiffel Tower and too many boulangeries! The apartment was well equipped and very comfortable. The staff and transportation arrangements were..."
"We were delighted with our stay at the Palette Apartment in Paris. The process from first contact to reservation and welcome was impeccable. The apartment met all our expectations and we felt completely comfortable. We also appreciated the very warm and personal welcome, the taxi arrangement to..."
"Our three week stay at the Palette Apartment was perfect. It's in a sensational location, just a 5 minute walk from the Eiffel Tower. There are wonderful cafe's and restaurants in the street below the apartment. We felt like a local. It was very comfortable, secure, well appointed and immaculately..."
"Terrific apartment in he heart of the 7th near great restaurants and transportation options. The apartment was well appointed, lacked nothing. The convenience of the washer and dryer was terrific. We would return to the same location!" "The apartment was just as shown on the website and it was very comfortable for the two of us. The bed was comfortable and living room furniture was great for lounging in the evening. 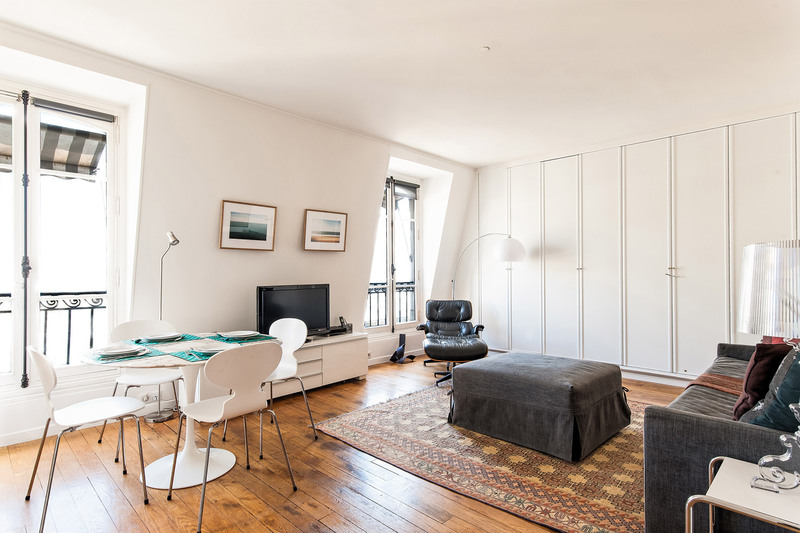 There was a lot of natural light in the morning and the windows were sound proof so we were not bothered by street..."
"This is the second apartment we have rented from Paris Perfect and both visits were excellent. This time we were with our two teenage children. A wonderful stay at Palette! Bright, clean and modern apartment with 2 full baths. Very comfortable for a family of four. 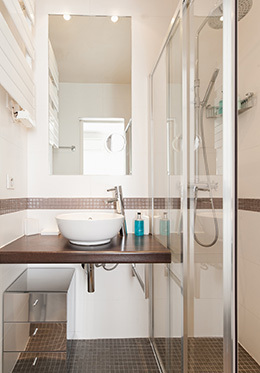 Having 2 showers was a big..."
"This was our second 'Paris Perfect' apartment and it was terrific. My daughter and husband joined us for a few days and the apartment was very conducive for guests. 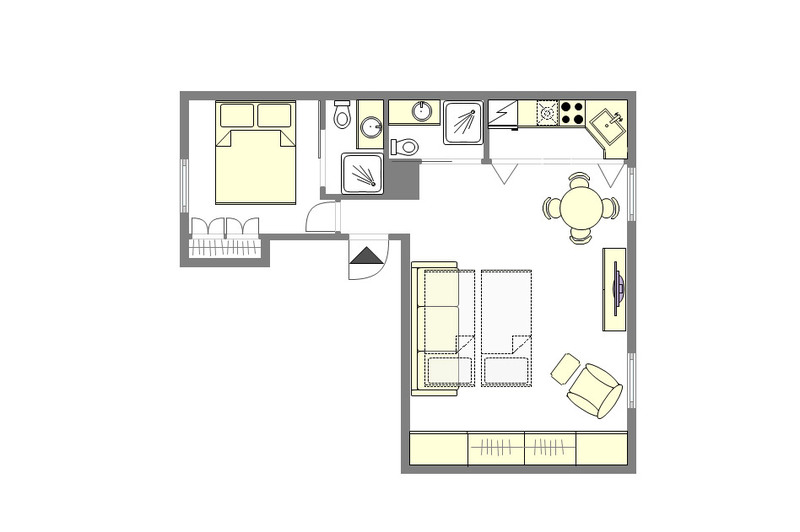 The bedroom has a separate bathroom whereby you can close the door and all is 'en suite.' The other complete bathroom is part of..."
"This was our first trip to Paris, so the Palette was a great apartment for us. It's not in the most exciting part of town and its a bit of a hike to the nearest Metro stop, but its near the Eiffel Tower and within easy walking distance of several excellent restaurants, as well as small grocery..."
"The apartment was wonderful! The info provided was very helpful. The team were very friendly and helpful! Thank you for everything!" "The apartment was great! Thank you! Your team was perfect." 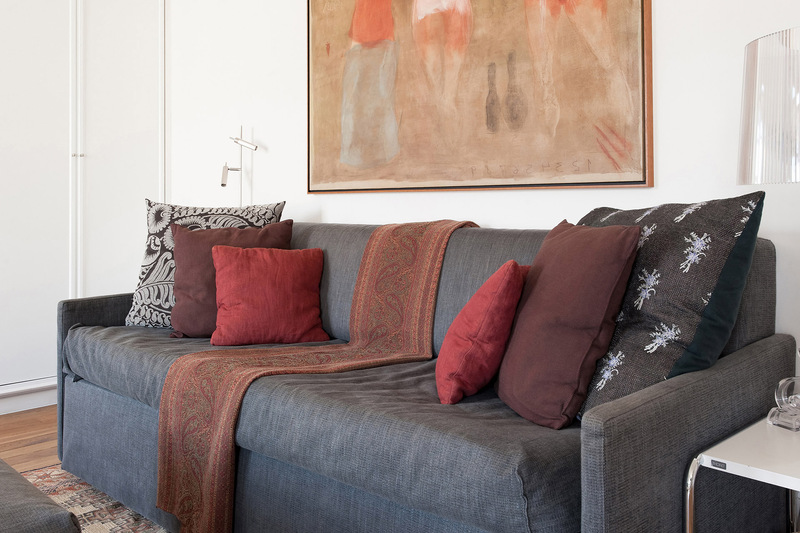 "The Palette apartment was perfect - it met all our needs - quiet and cozy and clean! All the comforts of home, good linens, a good supply of dishes and towels, everything new and in good working order. Our only mishap was smoke alarm - it went off in the middle of the night - perhaps a low..."
"Lovely apartment, exactly as described on the website and true to the photos. Very comfortable for 2. We stayed 5 nights and enjoyed cooking dinner and breakfasts in the fully equipped kitchen. Washing machine and separate dryer were well used too. The queen bed is very comfortable. The location of..."
"Nicely situated in the 7th; close to Metro, markets & restaurants. Beautiful & quiet neighborhood. The apartment itself is comfortable & well-appointed. 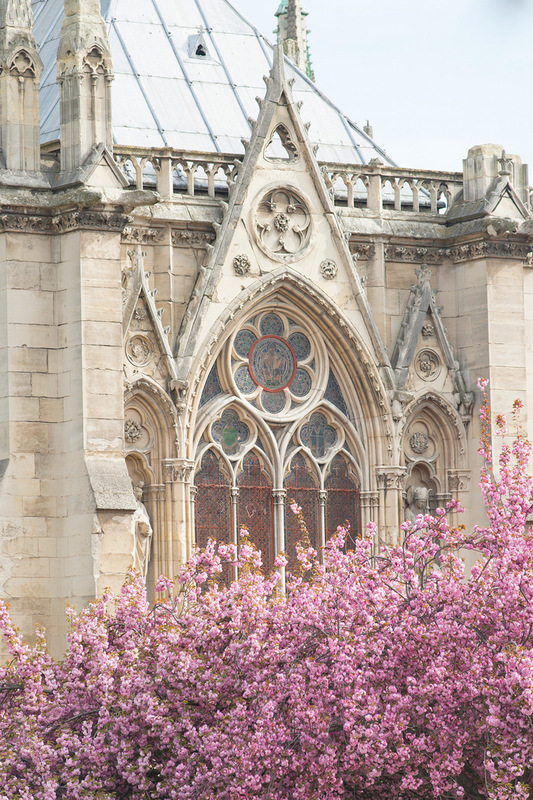 We especially liked the view across the rooftops from the top-floor windows; and two full bathrooms were very convenient." "We enjoyed the stay, the team was excellent and always available." 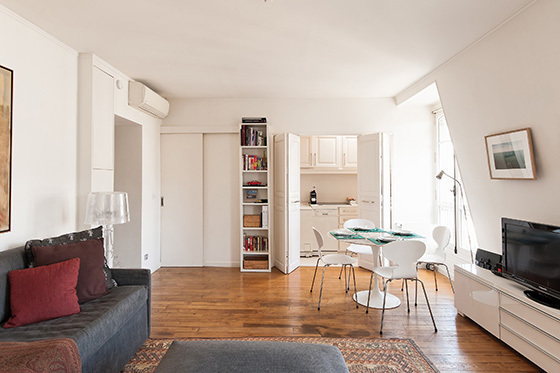 "Paris Perfect and Palette Apartment exceeded our expectations. We were pleased to have your office support and the way in which our entire experience was handled by your company. Palette was perfect for our needs. 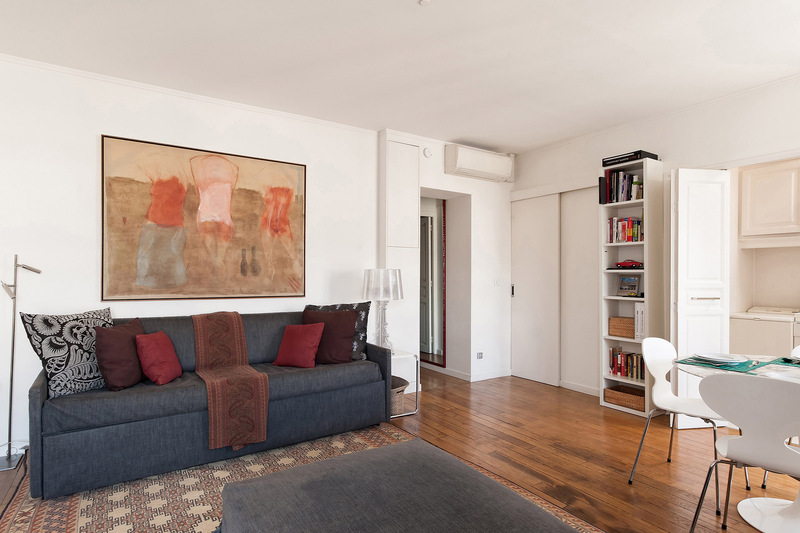 The location was excellent, close enough to the Eiffel tower and the Metro to make..."
"This apartment is in a great location if you are looking for a quiet neighborhood that is close to fantastic restaurants, shops, Rue Cler and bus/metro stops. 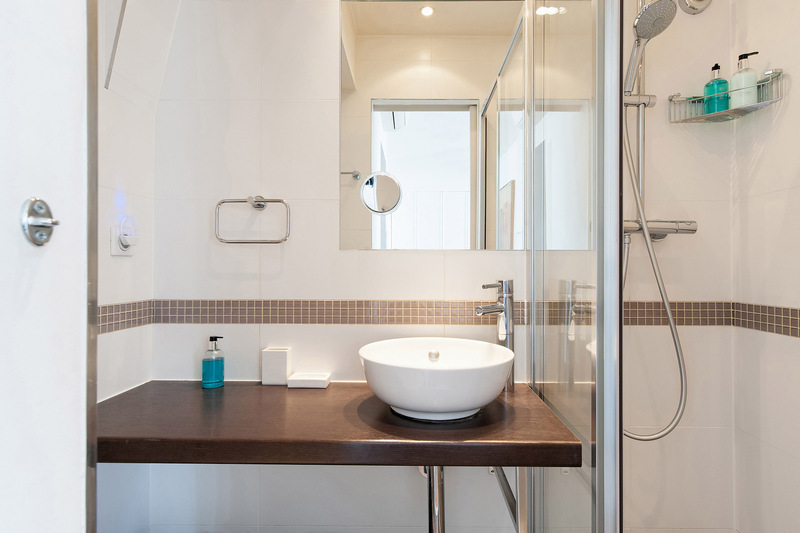 Having two bathrooms was a treat when traveling with more than two persons and it was especially nice to find shampoo, soap, lotion and a..."
"We thoroughly enjoyed our stay at the "Palette" apartment- lots of light, quiet, and charming view of "Parisienne" rooftops. Perfect accomodation for a couple along with a fabulous location, surrounded by wonderful shops and restaurants. "We were very happy with the apartment and the advice given to us by Paris Perfect regarding our stay in Paris. We appreciated the booklet with pointers as to where to eat, shop etc. The instructions for using the apartment were excellent. If I couldn't get something to work I went back to the..."
"We're very happy we changed our hotel to an apartment. The Palette is the perfect location and the size worked out well too. 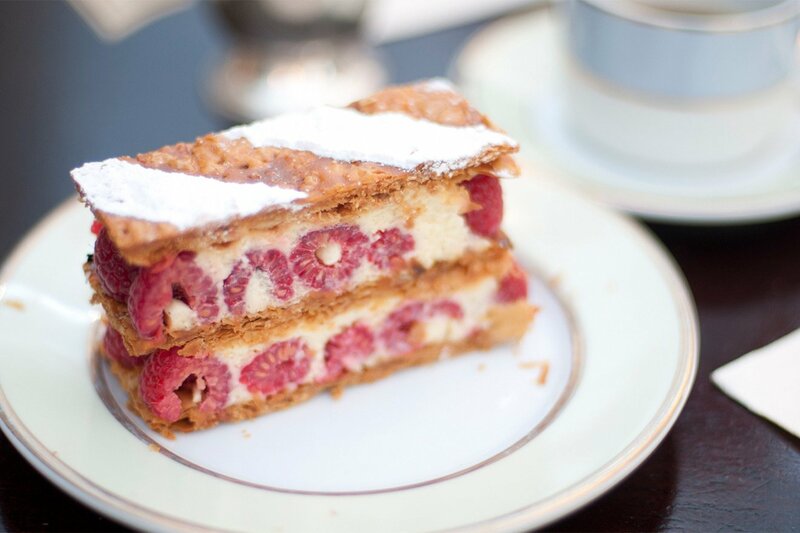 Excellent information from the Paris Perfect group and lots of good advice for bakeries, restaurants, etc. 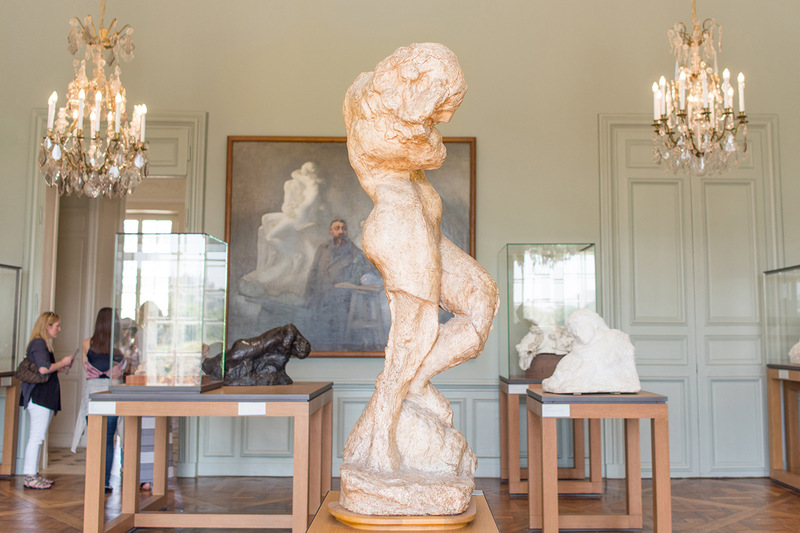 We walked miles and covered lots of Paris and saw many wonderful..."
"Our stay in Palette was impeccable, your staff was more than helpful during this week. The apartment and service were incredible. Everyone goes more than beyond to be of help for example we had our daughter sick and thanks to one of your wonderful staff members (Lisa), we were able to bring my..."
"I spent a week in the Palette apartment with my two youngest children (ages 14 and 6) in March 2011. We loved every aspect of our stay. 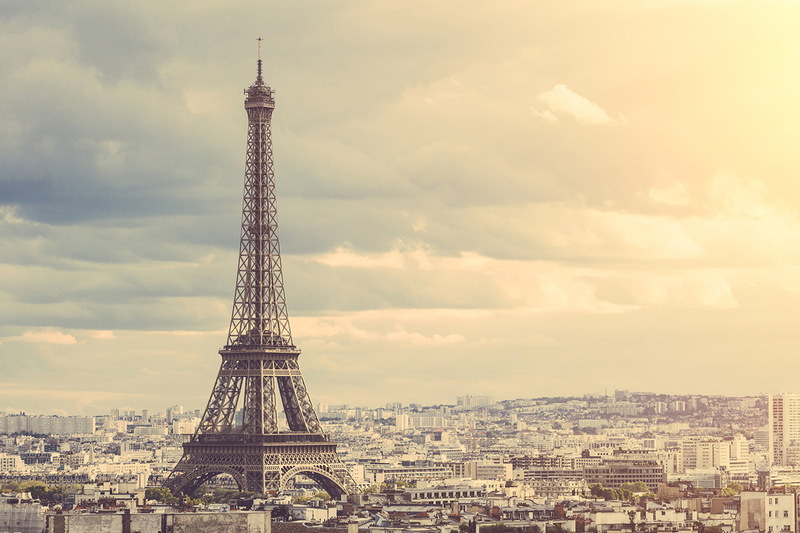 Paris Perfect is indeed perfect in every way: from the careful planning of all logistics involved, to the professionalism of its staff, to the details added in..."
"This apartment had everything that we needed for a fabulous stay in Paris (except perhaps bigger bathrooms). The location was great as there were lots of wonderful restaurants and cafes very nearby. This did not mean it was noisy. In fact it was very quiet at night time and we did not have..."
"Really enjoyed the apartment, the space and the neighborhood. Very memorable. We hired Michael Osman's partner as a tour guide. He was full of info about art and Paris; it was money well spent. Your staff was so helpful...Sarah called back with info on bus routes for us and more. Apartment was..."
"Palette was a perfect apartment for us: a couple with a teenage granddaughter. The two bathrooms and air conditioning (this was July, after all) were necessities. The apartment is outfitted beautifully - everything one needs for minimalist housekeeping. The pull-out trundle worked beautifully and..."
"Our stay was simply PERFECT. The apartment and all services were exactly as advertised. I would recommend Paris Perfect to anyone. They did an exceptional job with both communication and service. Thank you." "We really enjoyed our week at Palette. The apartment had everything we needed, the location was fantastic and the organisation from Paris Perfect's end was very professional. Thanks everyone." 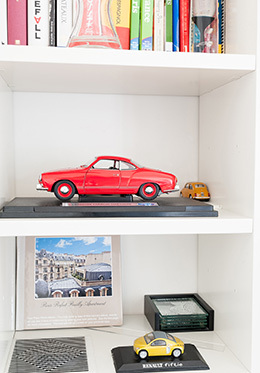 "We have used Paris perfect on two occasions -- all first class, all mod cons and cared for. Staff are extremely helpful and nothing is a problem. 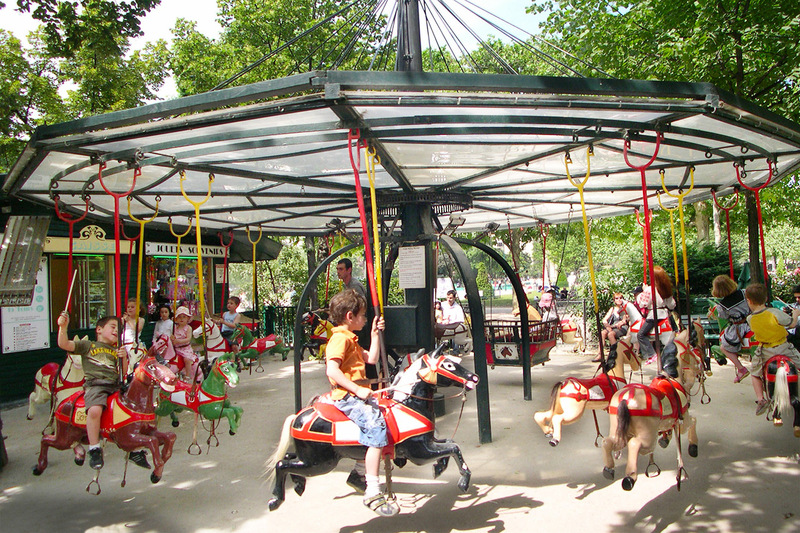 We would stay with them again and highly recommend Paris Perfect to family and friends." "Bonjour ! We had a wonderful time in Paris, made special by our stay in your apartment. The location was perfect, your attention to detail, service and assistance was most appreciated. You are indeed - The Perfect Team ! We will recommend you to our friends and hope to be back to stay with you..."
"A rare find that this lovely 1 bedroom apartment has 2 full bathrooms! It was the perfect size and value for 4 adults - me, my husband and 2 grown children. 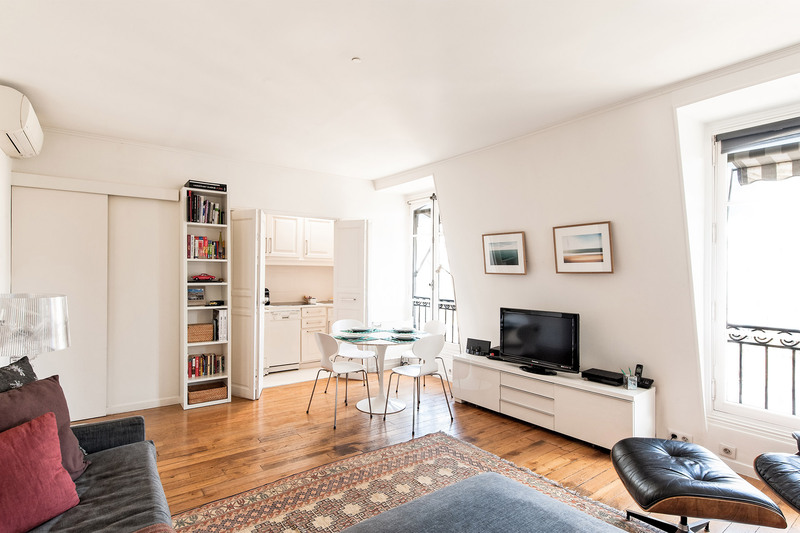 I loved how the bright morning light shines through the living room, which is an added plus during the cooler months as the sun helps retain..."
"Our stay in Paris was a wonderful experience made special by our accommodation in your apartment. WE loved it -- the location and amenities were superb, and your attention most appreciated. You are indeed 'The Perfect Team'! We will recommend you to our friends and be back to stay again." 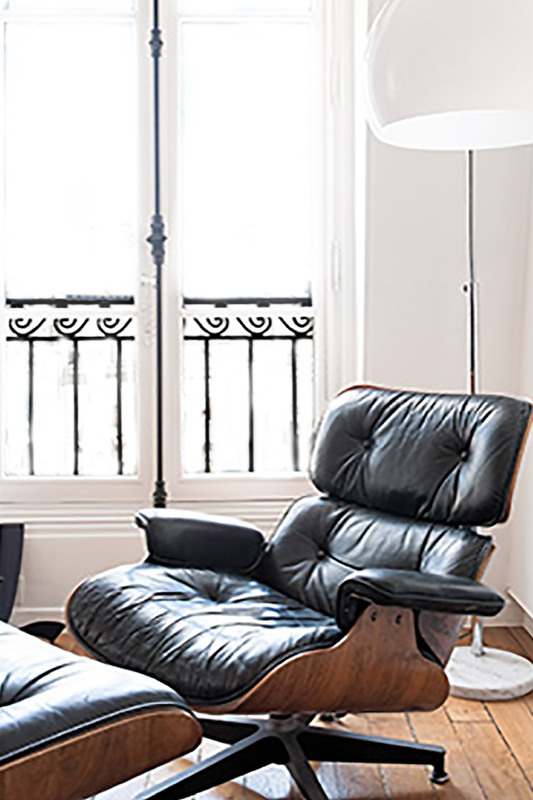 "This was my third stay in a Paris Perfect apartment and it was wonderful. The location of this apartment couldn't be better! I will come back again and again when I am planning a trip to Paris." 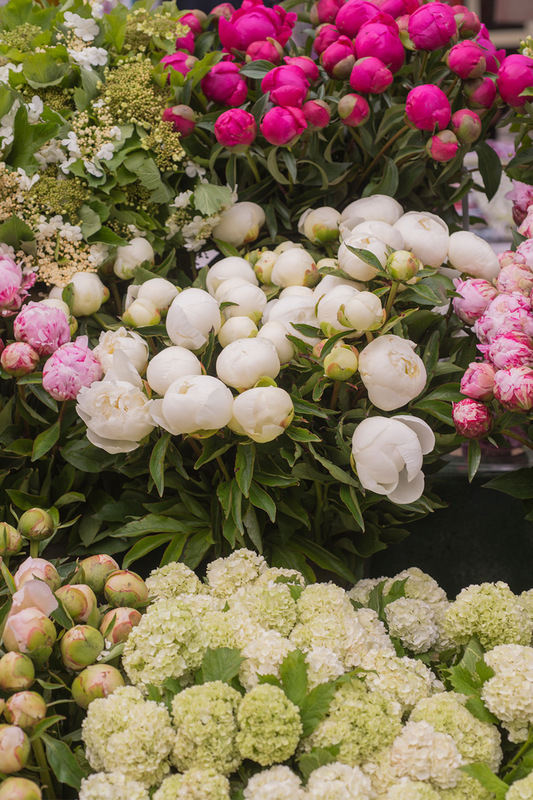 "I've been staying with Paris Perfect two or three times a year for three years now and have ALWAYS had a splendid experience - from the furnishings to the service to the lovely advice about neighborhood shops and services. This is a topnotch group, with terrific apartments and an earnest,..."
"Loved it! I travel to Paris once or twice a year for business and have always stayed in a little hotel....nice, but not great. This year I decided to try an apartment. My guardian angel must have guided me to Paris Perfect. It was heaven. I'll never go back to a hotel. Centrally located in the heart of the 7th arrondissement, one of the best neighborhoods in Paris. Champ de Mars Park (10 min): Walk, jog, play in one of the playgrounds, throw some hoops, go to the puppet theater or just sit and enjoy the beautiful gardens. Paris Sewer Tour (5 min): Fascinating tour of limestone arches and caverns with street signs that traverse all of Paris . The Phantom of the Opera was inspired by these underground streets. Musee Branly (6 min): Award-winning Museum of Ethnic Arts. Ecole Militaire (10 min): Napoléon attended military school here and the buildings still show signs of gunfire from the French Revolution in 1789. 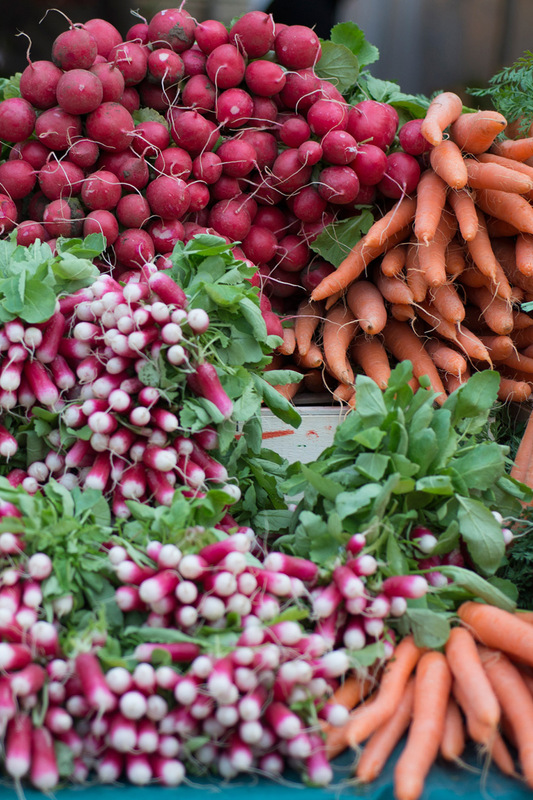 Open Markets: Pont de l'Alma market is a 12 minute walk and has the largest open market in Paris every Saturday morning. 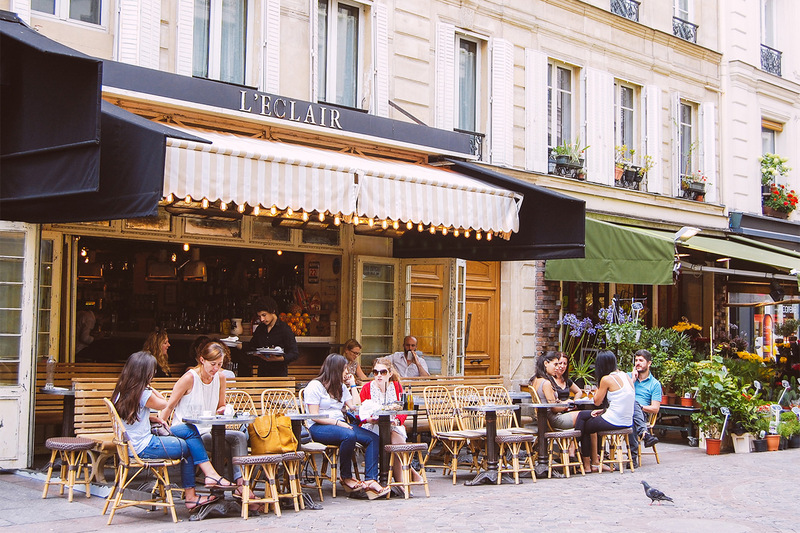 Rue Cler is five minutes away and is among the best and most famous shopping streets for food in Paris. High Fashion (14 min): Walk to the Grand Couturiers on Avenue Montaigne - from Chanel, Dior, Givency, Valentino, to the outrageous Jean-Paul Gaultier and many more. 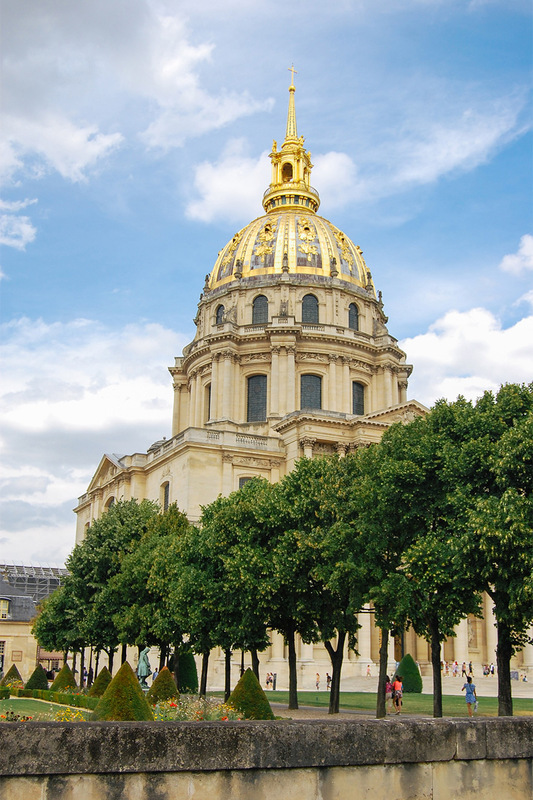 Invalides (15 min): Napoleon's tomb rests under its golden dome. Grand Palais (20 min): Venue for world-famous art exhibitions. 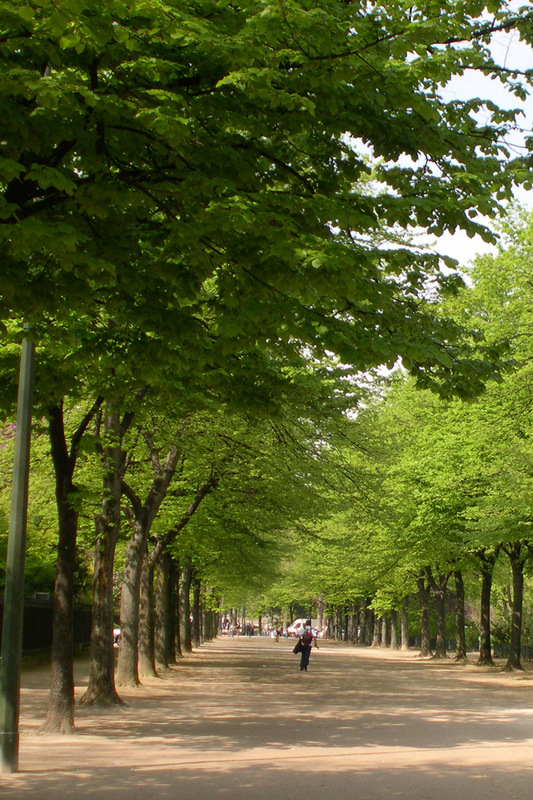 Champs Elysees (20 min): Walk to the Champs Elysées, Arc de Triomphe and Louis Vuitton flagship store. Rue du Commerce (25 min): A true Parisian shopping street with trendy boutiques, food stores, bistros and the Monoprix department store, like a French Target - good quality and great prices! 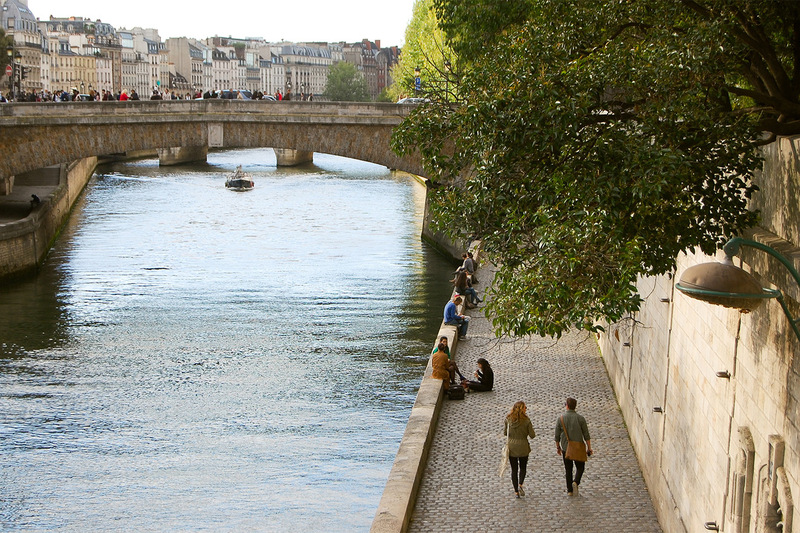 Place de la Concorde, Madeline, American Embassy (25 min): Walk along the beautiful river or take a nearby train. 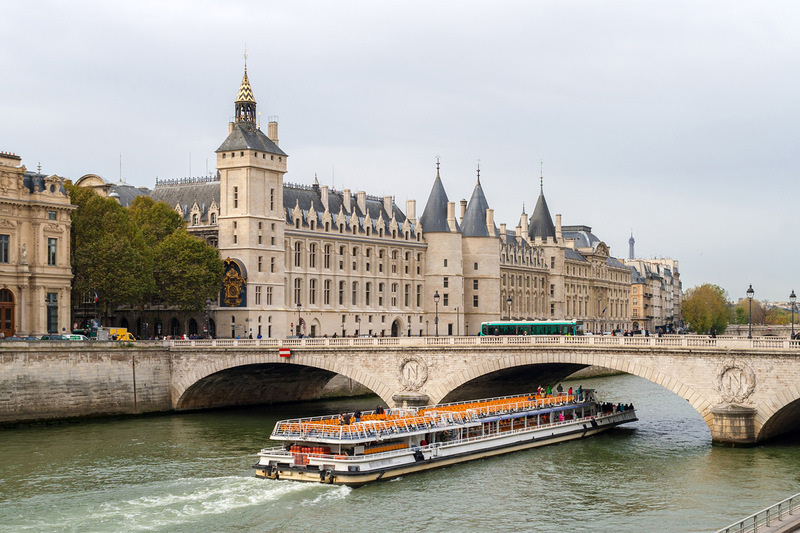 Louvre Museum (40 min): Walk along the beautiful river or go direct by bus. Pont de l'Alma RER (5 min): Local train that goes direct to Invalides and Notre Dame. 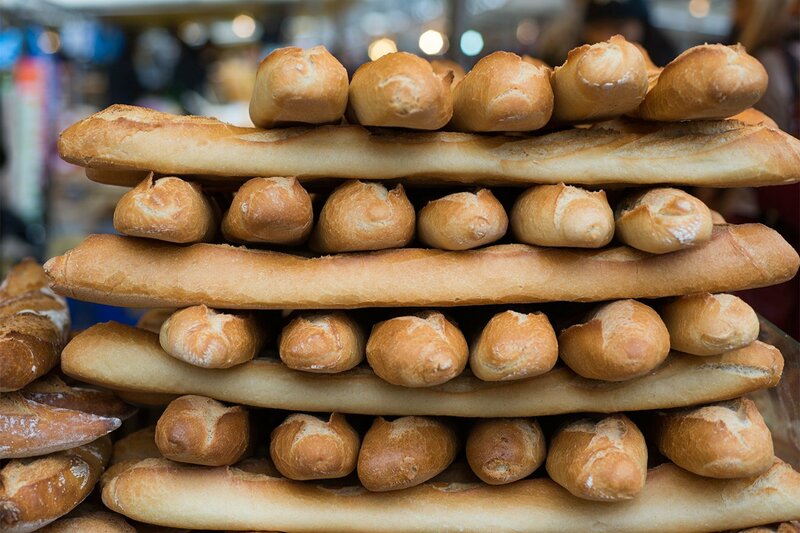 Buy French baguettes straight from the oven! 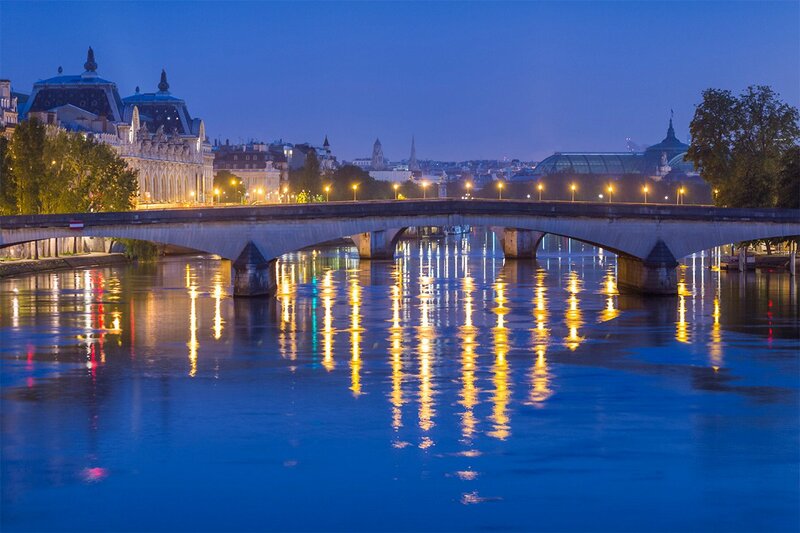 See why they call Paris the city of lights!